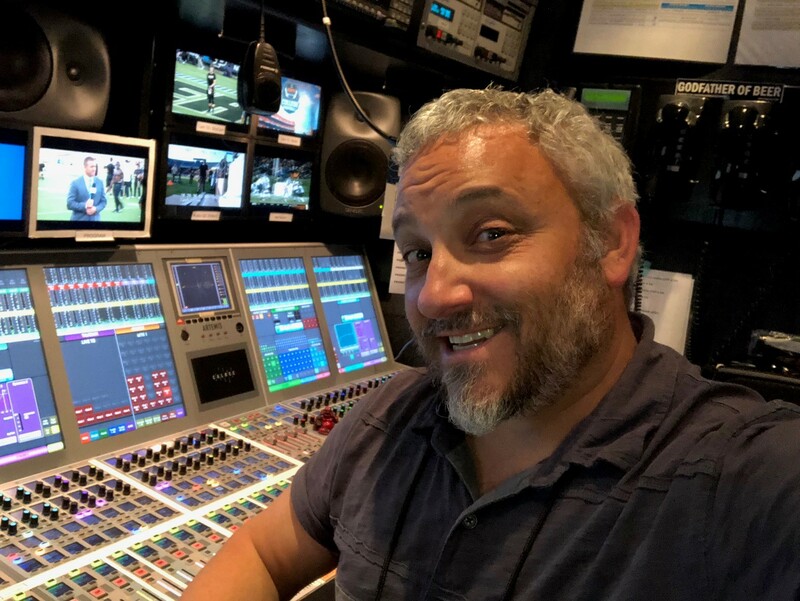 Close-up and on-player audio — also known as miked-up sound — is transitioning from a novelty used for special events to an integral part of regular broadcast-sports audio. It’s still subject to an array of controls, including by leagues and teams, and even individual athletes, but it has become clear that viewers are responding to this new level of sonic intimacy. Microphones have been nestled in the shoulder pads of NFL guards and buried in the dirt and grass around MLB pitcher’s mounds and infields. NBA jerseys have an inside pocket specifically for wireless transmitters. The cockpits of NASCAR and IndyCar racers are wired like a Russian embassy. “Sounds of the Game”-type packages have become regular features on sports broadcasts, where A1s and effects submixers get to do the equivalent of drum solos, playing edited pastiches of bat cracks, engine roars, and teammates’ high fives. ESPN’s Dan Bernstein says expanded deployment of close-up sound is a matter not of technology but of the willingness of players, teams, and leagues. Broadcast-audio engineers have embraced close-up sound for games as a way to move viewers even closer to the action and the athletes. It was, says Bernstein, its own kind of story. The trend toward more-comprehensive sound for broadcast sports stems from increased fascination with the sounds of sport, says Paul Johnson, CEO of Quantum 5X, the Canadian company behind the PlayerMic, the compact transmitter that was the first bespoke piece of equipment for wiring athletes for sound. Q5X has put microphones in more places than the CIA, including inside golf-hole cups, where they can pick up bits of strategic and tactical conversations between golfers and caddies, and even on buoys, collecting the sound of oars digging into the water in sculling competitions. The pinnacle of placement is on the athletes themselves, although some players, teams and leagues have approached the concept cautiously. The NBA was the first to embrace the idea of wired athletes, and audio from the court has shown up on player websites and other portals. MLB has been the most enthusiastic recent user of onfield sound, first for event-type games, such as the All-Star Game, and, as of last year, during certain regular-season games, with individual players miked and, in a few cases, their conversations with announcers aired (on a slight delay, of course). The NFL has been using onfield audio for years, starting in 1975 with a wireless lapel microphone and transmitter on a referee, broadcasting his calls over the stadium PA system. Beginning in the 1990s, a wireless mic was placed on umpires (by the game’s broadcasters, according to NFL Films) and could catch the quarterback cadences ahead of the snap. But, prior to the 2010 season, the umpire’s position was moved because of safety concerns. That left a noticeable hole in the sound, which, after several seasons’ worth of experimentation, was filled by wireless mics on various players — two defensive and two offensive — per game. But football is feeling pressure to make more close-up sound available. In September, SI reported that Monday Night Football broadcaster ESPN Lead Producer Jay Rothman and Coordinating Director Chip Dean met with NFL broadcast executives to advocate for more access to onfield audio, citing the strides that the NBA and MLB have made with it. And this past season, the Canadian Football League and broadcaster TSN had as many as six microphones — on both teams’ starting and backup quarterbacks and head coaches — on continuously for most of the season. Brad Cheney, VP, field operations and engineering, Fox Sports, says this kind of content will continue to be part of the package for broadcast-rights agreements. Broadcasters want, hope, and expect close-up sound to continue to become more widely used, although they’re aware of the array of proscriptions around it. A1 Bernstein cites the costs involved in the wireless equipment and personnel to manage it, which he says will limit its deployment to the major networks’ main weekly A games during the regular season, as well as postseason play. It’s a matter not of technology, he says, but rather of the willingness of players, teams, and leagues. Ironically, the future of on-field audio might eventually extend to the venue itself. Cheney foresees the possibility that Wi-Fi–enabled stadiums will allow fans in the stands to tune into dedicated channels of players and officials audio streams. It would, in a way, bring it all full circle.